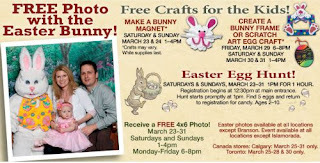 Free 4x6 Photo with the Easter Bunny March 23-31st, 2013. Free Easter Egg Hunt @ Bass Pro. Click the link below to see the details of this event.